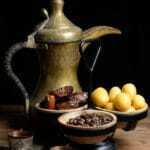 Omani Coffee and dates is what is served to show the ultimate form of hospitality in Oman. 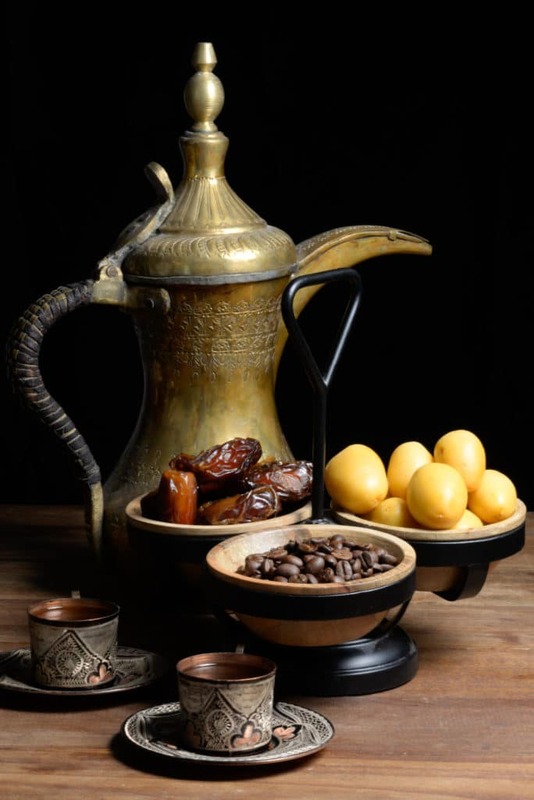 The hot Omani coffee is served in little cups without handles called fenjans. The coffee is served from a unique pot called a dallah. The coffee is lightly roasted and ground with cardamom and often times rose water is added to the mix. Dates are served as a sweetener for the coffee. Your coffee will be constantly refilled until you shake your cup vigorously, signalling that you have had enough. 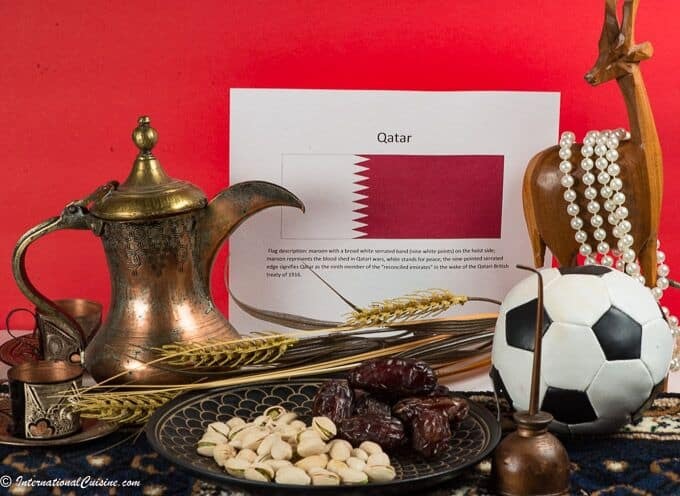 You will be offered coffee and dates just about everywhere you go in Oman. We began our meal with coffee and dates, both fresh and dried, along with some nuts. It was the first time we had ever had a fresh date and we loved the crunchy texture and sweetness. Omani coffee and dates was a wonderful way to begin our IC meal. Add the cardamom to the coffee grinds and brew as you would a normal coffee. Once percolated add in 1 teaspoon of rose water. Keep the coffee flowing in the small cups and instruct your guests to shake them when they have had their fill.